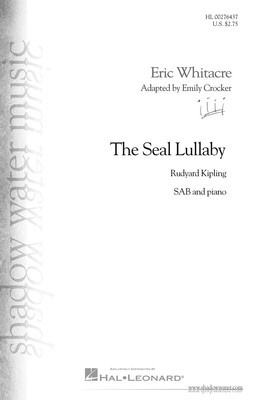 This loving and dreamlike work, now available in multiple voicings including SA, TB & SAB, captures the undulating rhythm of a mother rocking her child to sleep. The text is a classic by Rudyard Kipling: “Oh! Hush thee, my baby, the night is behind us, And black are the waters that sparkled so green. The moon, o'er the combers, looks downward to find us, At rest in the hollows that rustle between.” Magical!